The outdoor beer garden, The Backyard at Broken Barrel Bar, will be open for dining and drinking as well as playing a game or two with the life-sized Jenga. 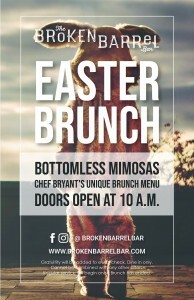 In addition to the regular brunch menu, Chef Bryant Anderson will be serving four brunch specials along with $25 bottomless mimosas. 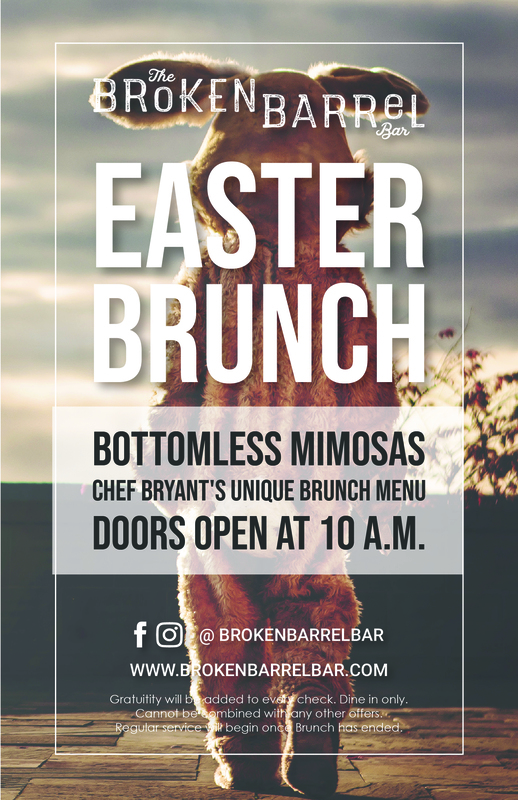 Reservations for brunch are now accepted for Easter Brunch on Sunday, April 21 from 10a.m. – 3p.m.